Chicago: The Book Supply Company, 1919. 352 pages, including a biographical sketch of the author. Pages tight and bright. Burgundy cloth binding with gilt lettering shows small stains. Front and back corners and spine ends show wear.. First Edition. Cloth. Very Good +/No Jacket. Illus. by St. John, J. Allen. 12mo - over 6¾" - 7¾" tall. Chicago: The Book Supply Company, 1914. Burgundy cloth with gilt lettering. Top edge above lettering has three inch drip stain. Corners and spine edges slightly worn.Small ex-owners sticker inside front cover. Small ink check mark top corner fep. Middle page edges are water stained to an eighth of an inch , also slight water stain back pages near spine fading out at page 444. Except for the minimal water staining and rare foxing the pages and beautiful color illistrations are tight and bright.. No Edition Stated (Presumed First). Cloth. Good+/No Jacket. Illus. by F. Graham Cootes. Chicago: The Books Supply Company, 1909. 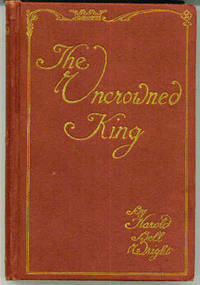 Published August, 1909. Shiny Maroon Cloth with a couple of smudges on front cover. Gilt Lettering. Slightly edge worn, corners bumped. 364 pages tight except split between pages 208-209 and 224-225 but cloth and thread holding nicely. Very slight age discoloration to page edges.2 inch tear top of page 361. Ex-owners name in ink inside front cover. 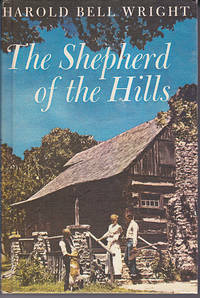 A nice copy of this sequel to "The Shephard of the Hills.". First Edition. Cloth. Near Fine/No Jacket. Illus. by Arthur I. Keller. 12mo - over 6¾" - 7¾" tall. NY: Grosset and Dunlap, 1978. Grosset and Dunlap reprint edition, 1978. Originally published in 1907. Classic novel in pictorial hard cover without dust jacket as issued. Gift inscription on front end paper. Blue tint on top page edges has mild water stain. 299 pages tight and bright.. Hard Cover. Very Good +/No Jacket.